For modern and traditional kitchens alike, a white worktop like our black kitchen worktops range is a great choice for a home. Its neutrality provides a fantastic canvass to allow other elements in your kitchen to really stand out. White worktops can completely transform a kitchen design. 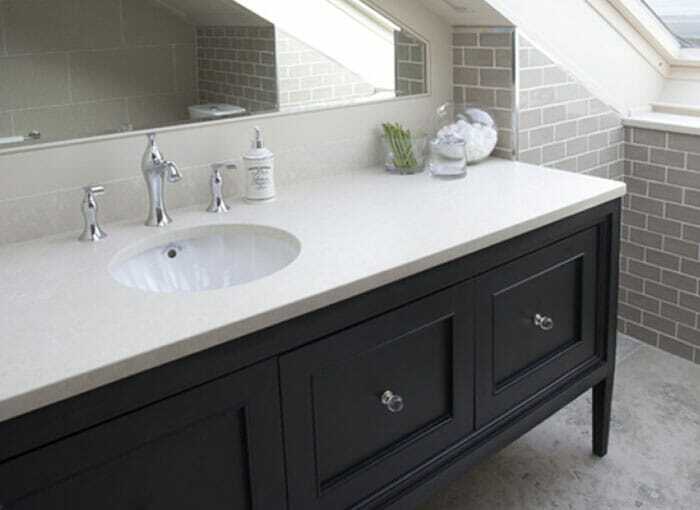 The use of white worktops in your kitchen or bathroom will create a spacious feel. We're a leading supplier of white kitchen worktops at HC Supplies and offer a varied collection of stunning white worktops. 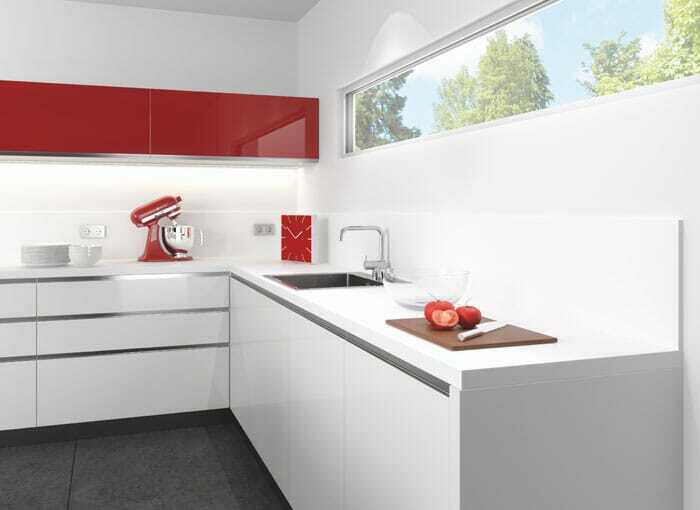 Whether you're looking for white laminate kitchen worktops, white quartz worktops, white corian worktops, white granite worktops and a host of other worktop materials. You really will not have to look any further for your worktop needs. 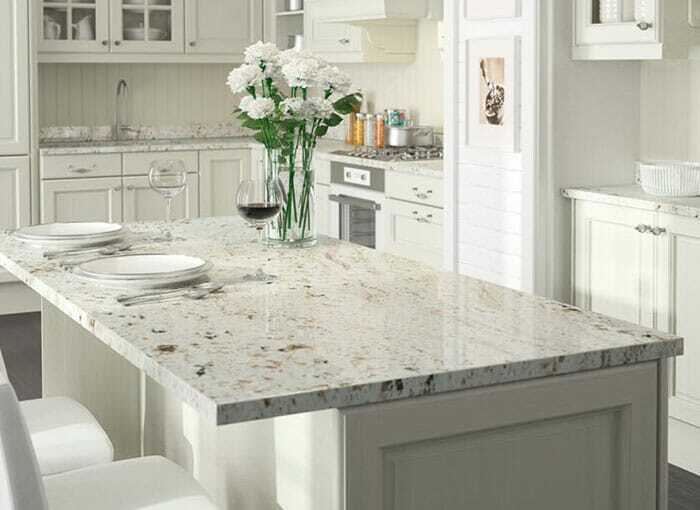 At HC Supplies, we have fantastic range of kitchen worktops, white worktops make for a truly beautiful work surface. 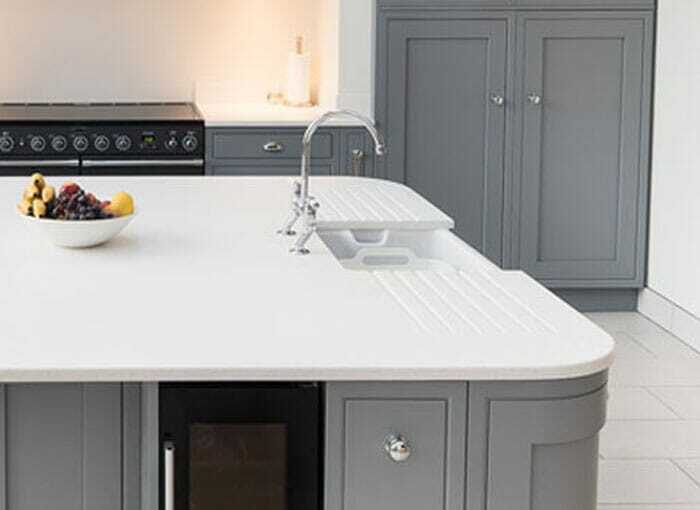 We have a selection of white worktops in laminated worktops, granit worktops, quartz kitchen worktops and a host of other stunning kitchen worktops. You really will not have to look any further for your worktop needs. 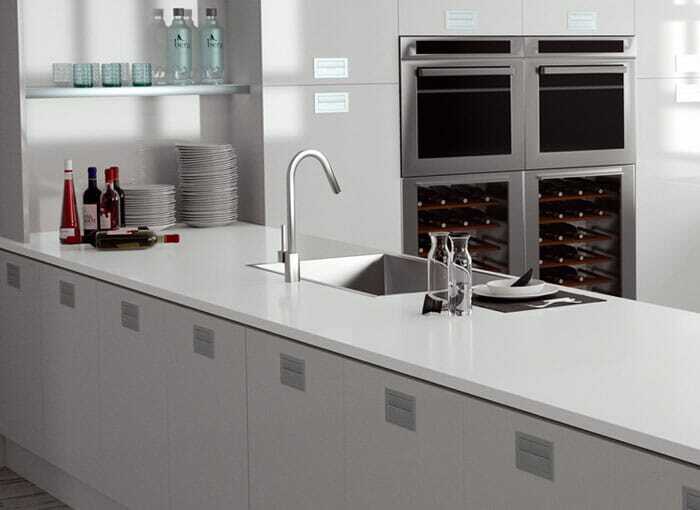 At HC Supplies, we have fantastic range of kitchen worktops. Our white worktops make for a truly beautiful work surface. 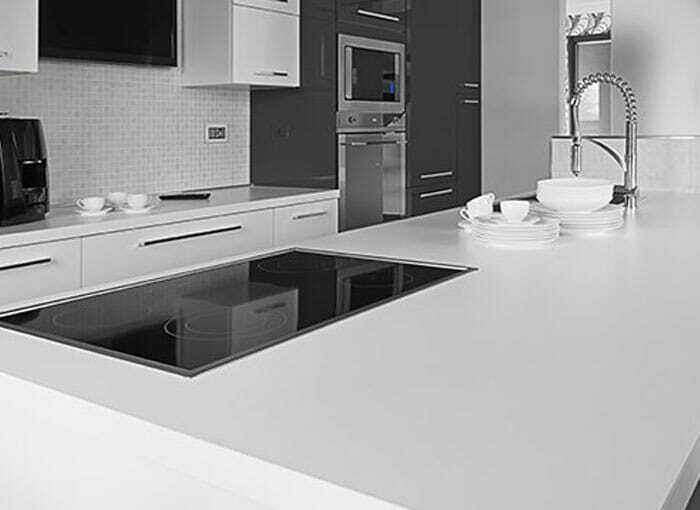 Aside from our white sparkle worktops, we have a splendid range of white worktops in laminate from some of the biggest manufacturers in the kitchen worktop business. This is thanks to how the paper and resin materials used in such worktops are easier to create and mix properly. They're functional and above all, available at a wonderfully cheap price at HC Supplies. A kitchen worktop in white may seem like an ordinary but it's far from it. Browsing through our white worktops range you'll find a myriad of different whites that compliments the most demanding of kitchen designs. To start, you can always order kitchen worktops white with different hues and tones all around. There are many options to select, like some charming off-white eggshell colors. You can always order a grayish tone to go with your surface, or even an ecru tone that is a little darker but still has a white base to it. No matter what kitchen worktops in white you choose, you can always opt for something that is bright and has a good look that can add something special to your space when used right. We have a large selection of white worktop samples in our showroom located in Doncaster, South Yorkshire as well as a team of friendly staff who will be more than pleased to welcome you and answer any questions you may have. 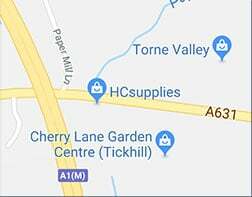 You’ve probably already seen for yourself our great white worktops prices but for a closer look at the quality, why not come and visit our showroom in Doncaster, North Yorkshire? You’ll find a comprehensive sample range for you to browse through. We have a team of friendly staff who will be more than pleased to welcome you and answer any questions you may have. We also offer a wide range of solid surface worktops, laminate and real wood kitchen worktops in a variety of sizes and shades so there will always be something for everyone. We can deliver your white worktop direct to your door with just 2-7 days!